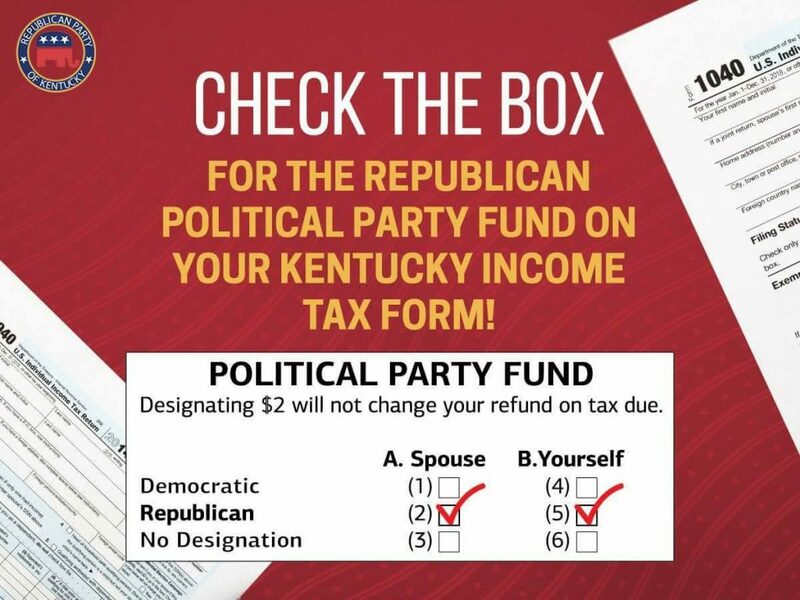 Don’t forget to mark the box to ensure a $2 donation is made to the Republican party. This $2 doesn’t actually come from your tax refund. It comes from money already set aside. A portion of each $2 donation goes to the McCracken County Republican Party. We use this money to help elect local Republicans to office.